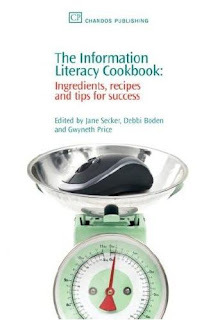 Book description: This book, aimed at an international audience, provides an overview of information literacy (IL) in practice; what it is, why it's become so important in the library profession and demonstrates how librarians can cultivate a better understanding of IL in their own organisations. It uses the 'Cookbook' theme throughout to provide a more informal approach, which will appeal to practitioners, and also reflects the need to provide guidance in the form of recipes, tips for success, regional variations, and possible substitutions if ingredients aren't available. This approach makes it easy to read and highly valuable for the busy information professional. It includes an overview of information literacy in higher education, the schools sector, public libraries, the health service and the commercial sector. It also includes contributions from international authors. Key Features: 1. Highly readable for busy information professionals 2. Contains advice, case studies and examples of good practice particularly useful for practitioners 3. Relevant to librarians from all sectors 4. Suitable for an international audience. 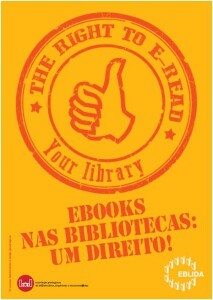 Como achei piada ao título do livro resolvi partilha-lo aqui com vocês. Lembrou-me aqueles livros que apresentam tudo de forma muito simples e prática (como a famosa colecção "for dummies"). 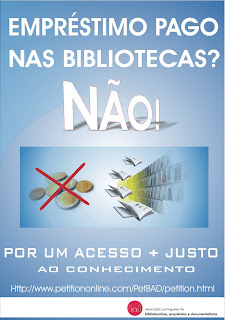 Nesta caso seria algo do género Tudo aquilo que sempre quis saber sobre literacia da informação e nunca teve coragem de perguntar! Gostava de dar uma vista de olhos por este livro... vou tentar pedir emprestado a alguém já que o preço não é muito convidativo!